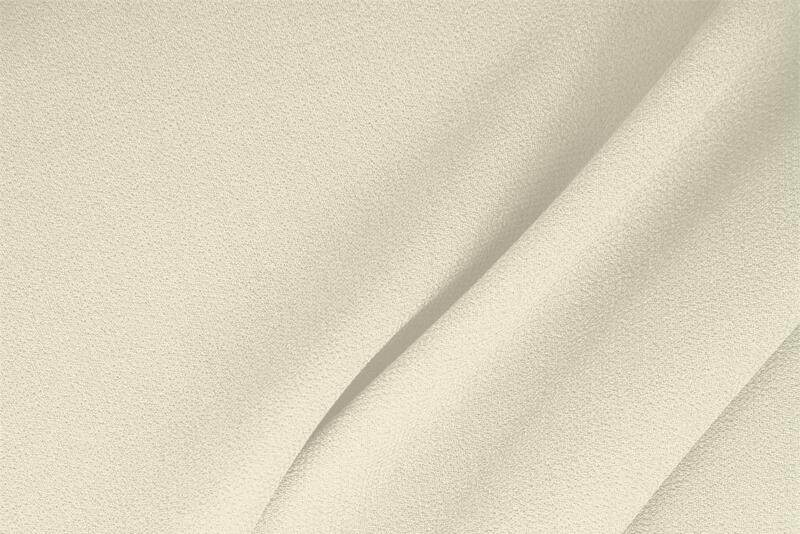 Buy online our clothing and fashion fabric 'Sabbia' Beige Wool Double Crêpe, Made in Italy. Our wool double crepe, also known as wool double-face, is a premium fabric in 100% pure wool, featuring a rough, crinkled look and double surface made by using two crepe fabrics. The two layers of crepe fabrics bonded together give the possibility to create high fashion garments since stitching can be made invisible. Wool double crepe is a fine and sophisticated fabric, featuring a clean, non-fuzzy look, perfect to make elegant garments: day and evening dresses, skirts, pants, jackets and light coats. Sabbia Beige Wool Wool Double Crêpe Plain fabric for Ceremony dress, Dress, Jacket, Light Coat, Pants, Party dress, Skirt.